As I prepare to celebrate Thanksgiving with family and friends, I want to take a moment to express my deepest gratitude to all of you for being on this magical journey with me. Thank you for your wholehearted participation, thank you for your generosity of spirit, and, thank you for your vibrant and moving letters and stories. The good you are doing is glorious and palpable. Thanks also to the wonderful people who helped put this mighty marathon together. Remember to sign up for one of our YMM Community Celebrations on 12/5. Want More You Matter Cards? 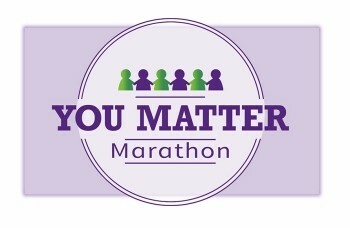 Click here to order more You Matter cards from Vistaprint. Use discount code THANKS20 and print the card in Signature Glossy. Please do not customize the card in any way – not even by adding the YMM web page. The card must contain just two words, YOU MATTER. Once again, thanks to all of you for continuing to spread the You Matter magic.